A 1099 is an Internal Revenue Service (IRS) form known as the "miscellaneous income" form. It is sent to a contractor, freelancer or another person who has been paid income in the past tax year. It is sent from the person that paid them. It is also sent to the IRS by the payer. Since the 1099 is a US IRS form, this information applies only to US-based freelancers. Freelance writers (and other independent contractors) will receive this form from those who have paid them for work in the previous tax year. It is required to be sent to both the contractor/freelancer and the IRS. It is not required if the amount paid over the past year was less than $600. This form is not applicable to those who are regular employees. The 1099 is required to be sent to the contractor/freelancer postmarked by January 31 of each year and is a summary of total income paid to that contractor in the year previous to that January. The payer also has to send a summary of all the forms they sent out to the IRS by the end of February. Freelance writers will use the 1099 as their main way of reporting income to the IRS. If someone paid you more than $600 in a year, and they are based in the US, they should definitely send you this form; you need it to pay your taxes! The freelancer will refer to both their records and their 1099s in doing their taxes. Sometimes freelance writers or other contractors may think they don't need to include any income for which they didn't receive a 1099. For example, they likely will not receive a 1099 from a client who is not in the US or who did not pay them more than $600 in the past year. But, the IRS still expects the freelancer to report that income and to pay taxes on it! 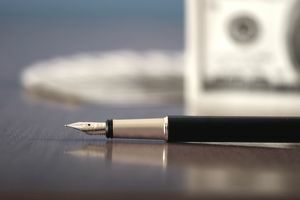 If you are a freelance writer who has paid someone else in the course of your business for any reason, you may have to issue that person a 1099. So, for example, a freelance writer may need to issue a 1099 to any editor that they paid over the course of a calendar year (if they paid that editor more than $600). This is another good reason to treat your freelance writing like a business and to keep excellent bookkeeping records. In addition, you'll need to also send a summary of all 1099s you've issued to the IRS.This may seem intimidating to new freelance writers; it may be best to procure a tax professional or accountant to take care of all this for you. However, know that 1099 forms are available from the IRS, and instructions are included for you. Disclaimer: I am not a tax professional or attorney. All information above is solely based on personal experience and not to be construed as tax advice or legal direction.